Children's Book. This book has soft covers. Ex-library, With usual stamps and markings, In good all round condition. Used: Like New. "Light wear to spine, covers and corners." Quantity Available: 1. Shipped Weight: Under 1 kilogram. ISBN: 0723234604. ISBN/EAN: 9780723234609. Pictures of this item not already displayed here available upon request. Inventory No: 032105. Very Good. 1854713302 Red pictorial glazed board covers. Very good condition with no inscriptions. A wonderful old family favorite! Enjoyed reading it again, then to my grandchildren. Glad to see it's still as loved as ever. The book was shipped quickly and was in good condition. I had never received a reply to an initial email, however, inquiring about the book. 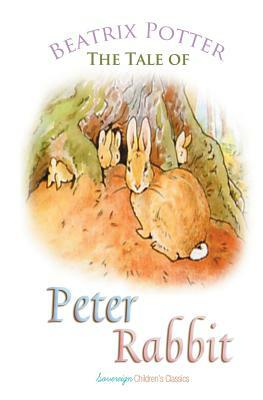 "Once upon a time there were four little rabbits, and their names were Flopsy, Mopsy, Cotton-Tail, and Peter. They lived with their Mother in a sand-bank, underneath the root of a very big fir-tree..."
Charming and delightful, with simply lovely illustartions.